Now that it's been out for six days, are we done talking about Star Wars: The Force Awakens yet? Not by a long shot! Still in its first full week of release, the long-anticipated sequel has broken yet another big box office record. One that has been held by director Sam Raimi's Spider-Man 2 since 2004. Early morning estimates for Disney's first LucasFilm release have the movie pulling in between $40 million to $40.2 million on Monday, from 4,134 venues. This blows Spider-Man 2's first Monday take of $27.7 million out of the water, towering over the gross by 44%. The Force Awakens has now pulled in somewhere north of $288 million since it was released for preview screenings across the country last Thursday, December 17. Disney is expected to deliver confirmed totals later today. Over the weekend, industry estimates were larger than Disney's actual figures when the smoke cleared. But it's clear that Star Wars: The Force Awakens has more than shattered this Monday record held for the past decade. Heck, it obliterated it. Working in Star Wars: The Force Awakens' favor is that this is Christmas week. So a lot of kids are out of school, and parents aren't. Where better than to stash them at the local cineplex? The $40.2M+ is actually expected to grow even larger once the finally tally is in. Alvin and The Chipmunks: The Road Chip took second place on the Monday charts, pulling in just $2.98 million. It is currently playing at 3,653 locations. It has earned $17.3 million from its four-day release. The other new movie that opened against Star Wars, the Amy Poehler and Tina Fey comedy Sisters, hasn't fared as well. It made only $2.5 million for third place, playing at just 2,962 theaters. Its four day take rests at $16.5 million. Christmas Eve is expected to see a lot of exhibitors close their doors early, so that could mean the lowest grossing day for Star Wars: The Force Awakens yet. And a few of the big Christmas Day releases, including Daddy's Home and The Hateful Eight, will get early Thursday previews, dropping Star Wars: The Force Awakens's numbers even lower. But it's expected that Star Wars: The Force Awakens will dominate Christmas Day at the box office. While Star Wars: The Force Awakens has broken records all over the world, there were two international markets where it failed to crack that #1 position on the box office charts this past weekend. The film opened in second place in both Vietnam and South Korea. In those countries, two local movies dominated the scene. In Vietnam, CJ Entertainment's mountaineering adventure drama The Himalayas took in $8.7 million from Thursday to Sunday, beating Star Wars' cume of $7.9 million. In South Korea, the comedy drama Sweet 20 took top honors, playing in its second weekend no less. It earned $1.9 million. Disney wouldn't release South Korean numbers for Star Wars: The Force Awakens, but confirmed that it wasn't in the top spot in that country. So, what do you think? 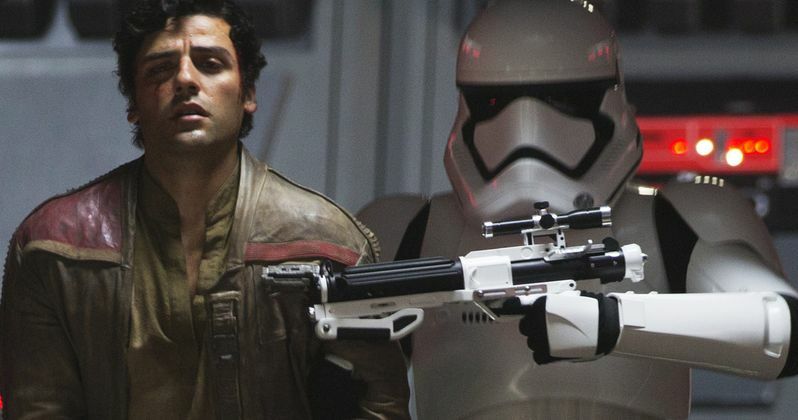 Will Star Wars: The Force Awakens continue obliterating records as it heads into its second weekend of release?